You can’t watch an episode of anything on Court TV without at least one commercial about mesothelioma. By now, everyone knows that asbestos is linked to mesothelioma. The only real question is why did we use it for so long. For that matter, why are we still using it? Unfortunately, the cynical answer and the true answer are one and the same. 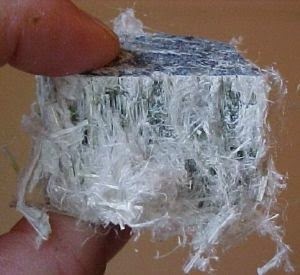 Asbestos is a tremendously useful mineral that has all sorts of industrial implications. It is still cheaper for companies to lawyer up, and fight the legal battles, than to stop using asbestos altogether. But how much do we know, and how long have we known it? In 1970, an asbestos company’s internal memo detailed the company’s knowledge of the level of asbestos exposure that would result in mesothelioma. They had conducted intense animal testing to show how asbestos effected humans. They even learned which types of asbestos were more harmful. They continued to use asbestos. Yet another company revealed in a letter to the Gypsum Association Safety Committee, their intention to place the blame on the employees despite the fact that the company was fully aware of the dangers of asbestos. They continued to use asbestos. As for when we knew, it was long before 1970. Set the wayback machine to 1906, and you will find the first proven case of an asbestos-related death to be reported and confirmed. The dangers of asbestos were known well before that. Industrialization is a powerful motivator. Once we discover something as useful as asbestos, we find it difficult to relinquish, even long after we know it is killing people. As with a drug, once we get hooked, we rationalize while the people around us suffer. Here’s the good news: You cannot inherit mesothelioma. Unlike other cancers, it is not genetic. It cannot be passed on from one generation to the next. It is also not contagious. There, the good news ends. The simple and shocking fact is that we know of only one way to get mesothelioma, and that is through exposure to asbestos. It is important to know that asbestos is a naturally occurring mineral. But people with mesothelioma didn’t catch it from a walk in the park. This is an industrial strength, industrially manufactured disease. To put it in no uncertain terms, humans cause mesothelioma. Mesothelioma is cancer. More to the point, it is a type of lung cancer. Pleural is the most common of three types of mesothelioma. This type effects the lungs, and can easily be mistaken for other ailments. Peritoneal and pericardial are the other two. They attack the abdomen and the heart respectively. As with other cancers, there is no cure for mesothelioma, and it often presents later in life. Asbestos does not go away once in the body. It can hang around for 30 years before the cancer presents. Add to that list anyone living in a house built before 1980. The condition of the asbestos is key, and can be assessed by a professional. To learn more about mesothelioma and lawsuits related to it, follow the link provided and check out the resources. While Americans have greatly reduced their dependency on asbestos, it is still legal in this country, though 55 other countries have banned it. Though the dangers are as well-known as the benefits, developing nations are still using asbestos to help spur their own industrial revolution. Mesothelioma is the inevitable result of this reckless industrialism.